Locating valuable writing advice isn’t always an easy task. With so many writing niches, styles and potential avenues to explore, one resource simply can’t provide advice or guidance that will suit every writer. We recognise how valuable it is to feel part of the writing community and to engage with advice from successful writers and creatives who are producing work you find inspiring and are living the lifestyle you aspire to achieve. We have therefore scoured the Internet to find the very best websites for writers around today. 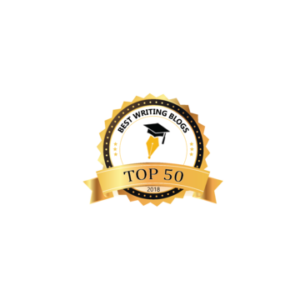 The following article showcases just under 50 of our top-picks, each of which contains an assortment of information and advice that we are certain will help you to kick-start your writing journey, refine your skills, and/or further your professional writing career. Jeff Goins is a bestselling author and wholeheartedly believes that every person has a creative gift that is worth sharing with the world. Goins has a wealth of original advice to share and reveals how to channel an artistic temperament into a competitive advantage in the creative marketplace. Offering practical help for hungry writers, whether you’re just thinking about embarking on a creative venture or are already a new or mid-career writer, Carol Tice has an array of tips and tricks to help you to earn more from your hard work. The Creative Penn is overflowing with useful resources and practical advice to help you to produce, publish and market your writing. Joanna Penn is a bestselling author and an award-winning creative entrepreneur who wants to ensure that you have the knowledge you need to make a solid living from your work. K.M. Weiland lives and breathes storytelling and the craft of writing. Helping Writers Become Authors is a thriving community of wordsmiths and creatives eager to help you to change your life with your craft. With advice on everything from structuring your work to developing convincing character arcs, you are certain to experience a boost of inspiration and creativity here. As a literary agent, Rachelle Gardner understands the publishing world inside out. In addition to offering agent representation, Gardner also coaches non-agented authors and provides a variety of support in the areas of publishing, writing, and social media. From writing a query letter to titling your book, Gardner has a wealth of advice to share with you. Specialising in the craft and business of fiction, Kathleen Bolton and Therese Walsh are dedicated to publishing positive and empowering articles and ideas from more than 50 contributors, including industry professionals and bestselling authors. C.S. Lakin is a novelist, copyeditor, and writing coach who loves helping fellow writers get where they want to be in their creative lives. Lakin specialises in providing annotated critiques of creative work and also shares comprehensive advice on how to develop a strategy for securing writing success. As a former literary agent and successful author of both fiction and non-fiction, Nathan Bransford understands how to help authors to write what they love, successfully navigate the publishing process, and effectively market their work. With articles on everything from motivating yourself to write through to successfully networking at events and conferences, Bransford has a lot of detailed and practical knowledge to share. Ali Luke is dedicated to helping you to explore your love of writing through blog posts, online courses and self-study seminars. Luke’s website contains a variety of information, including how to recover from rejection letters and how to increase your rates as a freelancer. Helping both publishers and authors to make smarter business decisions, Jane Friedman runs interactive online classes and offers consulting packages covering all aspects of the publishing industry. From learning to overcome writer’s block by focusing on shaping effective individual sentences to defining your readership and crafting a successful proposal, Friedman channels more than 20 years’ experience into every piece of advice. With an inherent understanding that navigating the writing world alone can be overwhelming, The Write Life is on a mission to ensure that your creative journey is both fun and successful. If you want to make a living as a writer, learn how to find an agent or up your social media game, you will find a supportive community here. Meredith Gordon Resnick is an artist and a writer who understands that each person’s creative process is unique. Through a series of interviews, guest posts and articles from professional creatives, bestselling authors and emerging voices, Resnick gives voice to a variety of writing practices to inspire and encourage. The Alleycats are a group of eleven published and aspiring writers who want to encourage you to embark on and further your writing journey. The group shares advice on a range of topics, including common writing mistakes to avoid, where to find inspiration, and how to market your work. Whether you want to further your freelance writing career or channel your creativity into writing as a hobby, Renegade Writer Press offers an array of helpful e-courses and books that will help you to live the creative life you want to live. Creating and distributing digital content that provides actionable and easy to digest advice from approachable and experienced professionals, Quick and Dirty Tips is the place to go for everything from podcasts and videos to articles and newsletters about all things writing. As a book writing coach, Lisa Tener understands how to help creatives to form productive writing habits, establish workable writing goals, work through writing blocks and much more besides. Tener’s blog contains a wealth of useful information, including how to productively channel your creativity into the right project and how to negotiate the process of signing with an agent. A valuable meeting place for freelance writers and creators, Story Board shares inspiring success stories, provides tangible advice and tips for new and experienced writers alike and highlights upcoming events to widen your writing community. Debbie Ridpath Ohi writes and illustrates books for children and young adults. Sharing inspiring advice, tips and tricks, Inky Girl is a veritable treasure trove for all writers with young audiences. In addition to running workshops for writers covering everything from honing your craft to building an effective writing toolkit, Writers Helping Writers publishes a variety of articles covering everything from building your social media following to making the most out of your available writing time every day. With more than 250 writers and creatives within the community, the Insecure Writers Support Group offers support and advice in a friendly and approachable atmosphere. Members are encouraged to share their writing and explore the wealth of resources and opportunities shared every month. With a belief that every story deserves to be told, Novel Publicity offers formatting, editing and marketing services for authors to help their stories reach their ideal audiences. From rigorous line-edits to comprehensive personalised marketing campaigns, each service prioritises the author and is primed to connect stories with readers. Anne R. Allen and Ruth Harris are both veterans of the publishing industry and are dedicated to helping newer writers to create their best work and successfully market it to their ideal audiences. Recognising that the publishing field is becoming increasingly complex, Allen and Harris want authors to be able to live well from their creative work. With success at the heart of everything, if you want to sell more non-fiction books, Shelley Hitz is here to help you to do just that. As a coach, Hitz is passionate about helping non-fiction writers to write, publish and market your work to reach as many people as possible. Focusing on providing practical tools to empower aspiring writers, whether you want to enhance your story theory knowledge, learn how to write a play, or anything in between, freelance writer Glen C. Strathy has the knowledge and the experience to help you to get where you want to be. New Zealand-based Maureen Crisp is a writer, teacher and all-round creative soul. Sharing tips and trends on a weekly basis, whether you’re looking for inspiration, encouragement or practical writing-improving advice, you’ll find an array of valuable bits of information that will enhance your creative process. Kathy Steinemann lives in the foothills of the Canadian Rocky Mountains and has been a true wordsmith for as long as she can remember. Steinemann’s work has appeared in a range of publications and she understands how to offer advice on everything from poetry and prose to non-fiction and commercial content. As both a writer and a creative coach, Lauren Carter is well-placed to share advice on everything from how to tackle creative self-doubt to how to develop a solid writing practice in just a few simple steps. This valuable resource has something to offer every single freelance writer working today. Providing detailed replies to a wide array of different writing-related questions, this community of professionals is on hand to help writers to enhance their income, cope with isolation when working from home, how to create a powerful website, and much more. Combining the science of psychology and the art of storytelling, Faye Kirwin understands how to help writers to establish a meaningful connection with both their work and their readers, develop realistic relationships and character development, and implement a workable and productive writing routine. From cataloguing current and emerging writing trends to offering practical advice for writers wanting to hone their craft, writer, editor and proof-reader Lydia Rogue understands the fundamentals of great writing. With copy and developmental editing services available, Rogue can critique your work and provide useful tips for how to improve your writing and storytelling skills. Chris Graham is an avid reader and uses his website to introduce new authors and provide useful knowledge and need-to-know tips to aspiring writers looking to further their creative careers. Freelance writer and content marketer Susan Shain is a digital nomad who thrives on sharing her advice on everything from travelling the world to how to successfully pitch articles to online and print publications. In addition to championing writers, Almost an Author publishes a treasure trove of advice on everything from how to blog successfully to adapting narratives from the page to the stage. There are also a series of supportive articles that will help you to write to your strengths and consistently maintain your productivity in a healthy and valuable way. With a focus on writing for businesses, Little Zots is run by Lauren Tharp who understands how to help entrepreneurs to share their stories in an immediately engaging and compelling way. Tharp also publishes free e-books and newsletters overflowing with advice for fellow writers and provides mentoring packages that will help you to create your dream life from your creativity. Successful writer Valerie Biel publishes monthly compilations of valuable advice and information for writers, particularly those with an interest in publishing their work independently. Additionally, Biel also offers personal writing advice on everything from naming your characters to shaping effective book proposals that will get you noticed. Philippa Davies understands all things writing and provides an array of advice on how to hire a creative coach, how to write more creatively, and unveils the secrets behind effective storytelling. An engaging and compelling teacher, even the most experienced writer will learn something from Philippa. Bianchi is on a mission to help passionate creatives to establish and maintain an effective online presence to create the life they want to live. With advice on everything from writing more vividly to deftly using persuasion to enhance the readability of your writing, Bianchi’s guides and articles are overflowing with valuable tips and tricks that clearly come from personal experience. Applauding the value of collaborative writing, the Two Drops of Ink team work hard to provide unique and informative advice and information for aspiring and established writers alike. Covering everything from prose styles, literary genres and grammar advice to industry news and information, they are dedicated to enhancing the education of writers at all stages of their creative journey. Containing everything a writer needs, Writers Boon is a non-profit organisation that seeks to help writers secure the success they want to see. The site contains tools and resources covering everything from marketing to eradicating the mystery surrounding the publishing process from more than 500 industry experts who want to help you to live your dream life. Nikki Brown is a writer and a creative coach who wants to help you to realise your creative vision. Joining her inner circle will give you access to free resources, weekly encouragement and advice designed to make your writing journey easier. If you are looking for some guidance or someone who can help you to establish writing goals and keep you accountable to them, Brown wants to be the person to help you to make your dream a reality. A must-visit website for 24/7 writing help, whether you’re looking for creative prompts, help in plotting your story, advice on how to establish the right atmosphere or shape a compelling title for your work, or information on how to become a writer and differentiate yourself from the rest of the field, E.A. Deverell has a range of worksheets, courses and articles that will answer all your questions and much, much more. Lindy crafted a successful freelance writing career and wants to help you to do the same. In addition to sharing actionable strategies to help freelance writers to make a reliable living from their work, Lindy also shares interviews with seasoned freelancers that are bursting with valuable tips and tricks that will ensure that you know your worth and feel consistently inspired to further your freelance career. If you are a freelance writer struggling to find the ideal outlets for your work, Where to Pitch is here to take this task off your plate. Whether you have a brand new piece of finished writing or an idea that you are eager to start working on, this valuable resource can help you to find the right home for your output. Unveiling Poems is focused on encouraging individuals through insightful poems to live purposeful lives and to focus on strengthening relationships and the beautiful things of the world. Camille Frazer is a poet and Child Advocate. The Unveiling is a collection of poems that examines purpose, love and the meaning of life. With views, news, ideas and inspiration to help your business to thrive, BusinessBuzz houses a wealth of resources that will keep you on track to achieving your writing goals. If you want to start a writing side-hustle or transform your passion into a career, the BusinessBuzz community wants to help you to secure meaningful success both now and into the future. Specialising in sharing resources and marketing news for small businesses and creatives, Georg Media is on a mission to highlight proven strategies and tools to connect with new audiences, grow email lists, and enhance the profitability of your writing. This comprehensive index aims to connect writers and editors with each other, audiences, and game-changing resources that can transform side-hustles and hobbies into flourishing creative careers. The index is run by Pat McNees, a writer and editor who has worked as a literary editor, publisher, and freelance writer/editor during a varied and highly regarded career. At MasterBlogging you can learn a lot about content creation, promoting your blog articles and monetizing your blog. A really good place to learn the art of Blogging. Swadhin Agrawal is the founder of DigitalGyd. DigitalGyd is multiple times award-winning blog. At DigitalGyd you can learn Affiliate Marketing, Social Media Marketing, Email Marketing and also how to use different tools for Blogging. Swadhin is publishing detailed guides that shows you every angle on a given topic! And there you have it! We sincerely hope that you have found this list of our top-picks valuable and that you are feeling prepared and inspired to take the next steps on your writing journey. Remember, the writing life you aspire to live is well within your grasp and there are so many fellow wordsmiths and creatives out there who are rooting for you and genuinely want to see you succeed. Our academic researchers specialise in a range of subjects and have significantly helped students just like you.